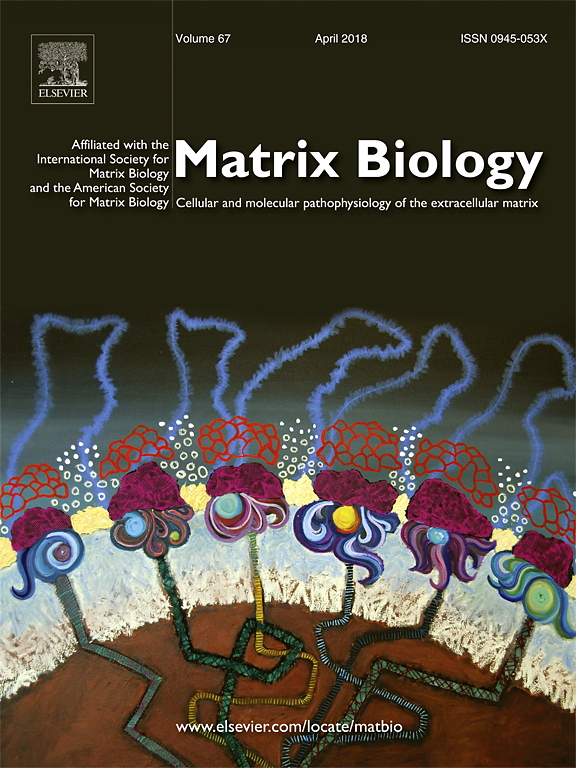 ASMB is pleased to offer it's members a discounted subscription to Matrix Biology (75% off print version) published by Elsevier. Our affiliation with the journal has been strong and we encourage you to take advantage of this excellent resource. The journal focuses on the ECM and has a wide range of focus articles. To see the current impact factor of Matrix Biology, the most downloaded articles, special issues and more, go here. The programs and abstracts for the 2006 and 2008 ASMB Biennial meetings were published in supplemental issues of Matrix Biology and can be viewed by clicking on the links for either year. Authors benefit from ASMB Membership! Please note, ASMB members who submit an article that is printed in the journal receive a 50% discount on color figures. ASMB Members also receive Matrix Biology highlights and Table of Contents electronically.